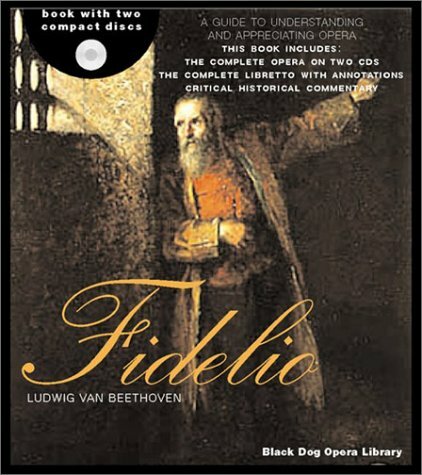 Fidelio, one of the world's best-loved operas, now joins the incredibly popular Black Dog Opera Library. The perfect listening/reading combination, this book/CD package includes a world-class recording of the complete opera along with a full-color 144-page guide featuring the libretto, history, a synopsis and more. Fidelio features performances by opera greats Gösta Winbergh and Péter Pálinkás. The book also details the life and work of the composer, the careers of the most famous and talented performers of all time and the nuances of the opera itself. If you have any questions about this product by Brand: Black Dog n Leventhal Publishers, contact us by completing and submitting the form below. If you are looking for a specif part number, please include it with your message.